Some days are cheese-sauce kind of days. 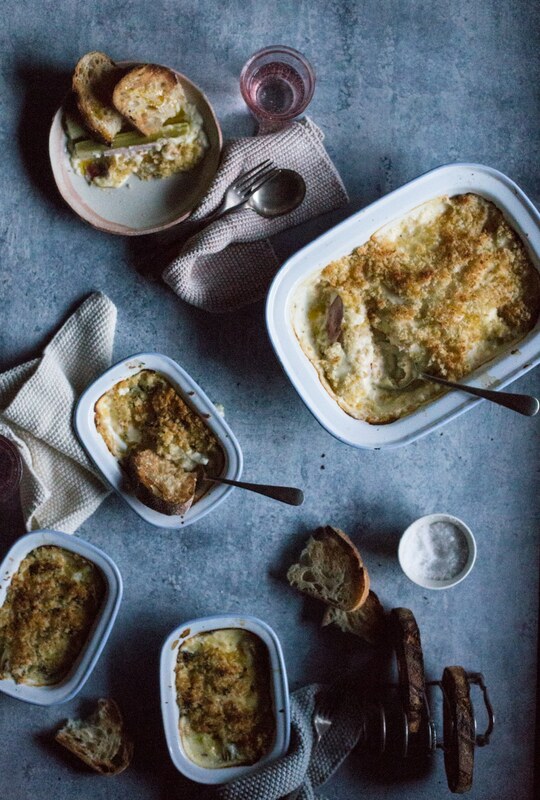 Cold, wintery days call for warm, comforting (cheesy) food and baked leeks in cheese sauce really do fit the bill. 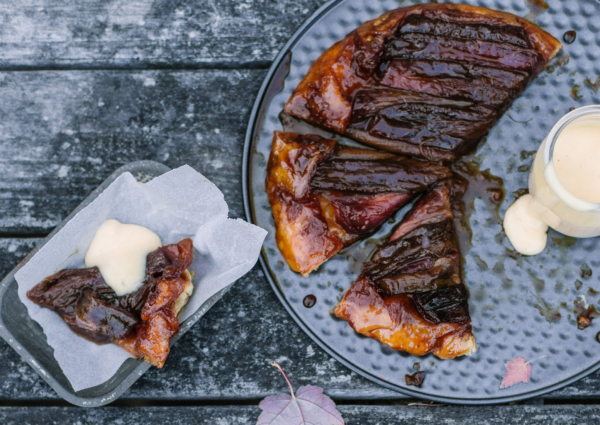 Hearty and nostalgic (at least for me), here are two recipes to add to your winter repertoire. Place leek halves, bay leaf, and milk into a large saucepan. Cover and bring to a simmer over medium heat. Simmer for 5 mins before removing the pan from heat and allowing the leeks to cool in the pan. Whilst the leeks are cooking, place breadcrumbs, oil and s, lt and pepper in a medium bowl and stir to combine. Once the leeks are cool, remove from the saucepan (reserving the milk for your cheese sauce) and wrap each leek half in ham. Place in a single layer in a medium sized baking dish and set aside whilst you make the cheese sauce. Melt butter in a medium saucepan until bubbling. Add flour and stir to form a smooth paste. Cook over medium heat for a few minutes, stirring regularly. Remove from heat and gradually add the milk reserved from cooking the leeks, whisking as you go to avoid any lumps. Return to heat and cook over medium heat until mixture has thickened and is bubbling. Stir in grated cheese and remove the pan from heat. 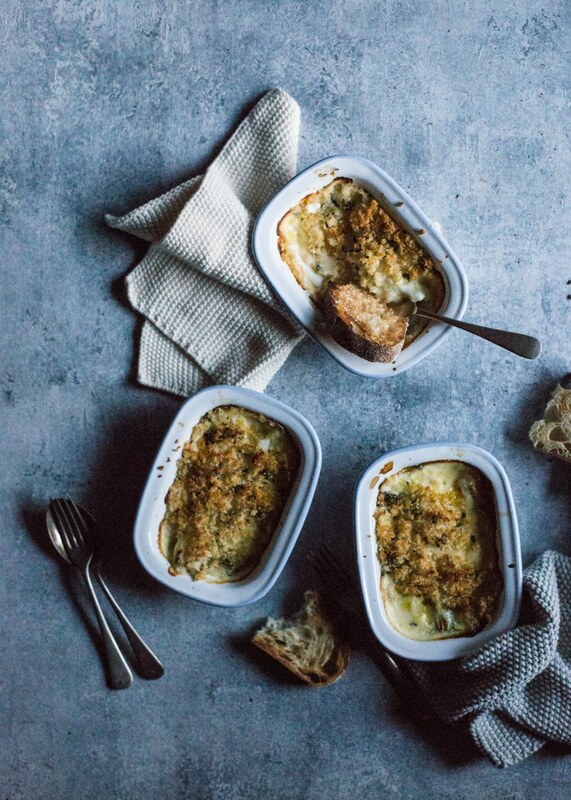 Pour cheese sauce over leeks, top with breadcrumbs and bake for 30 minutes or so, until cheese sauce is bubbling and breadcrumbs are golden and crunchy. 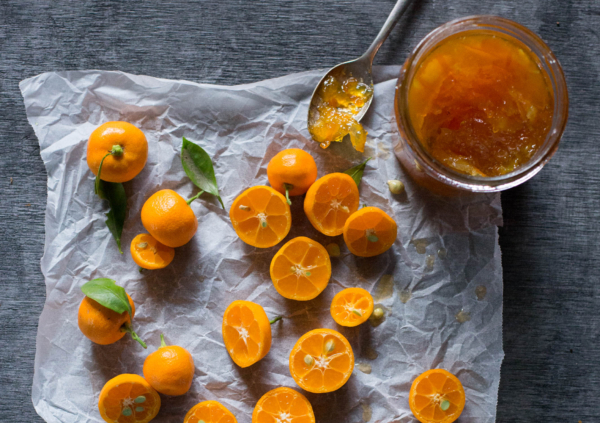 Serve warm from the oven with a crisp salad (raddicio and fennel work really well!) and extra sour dough toast if you like. As I have mentioned here before, my mother-in-law has a seriously green thumb! 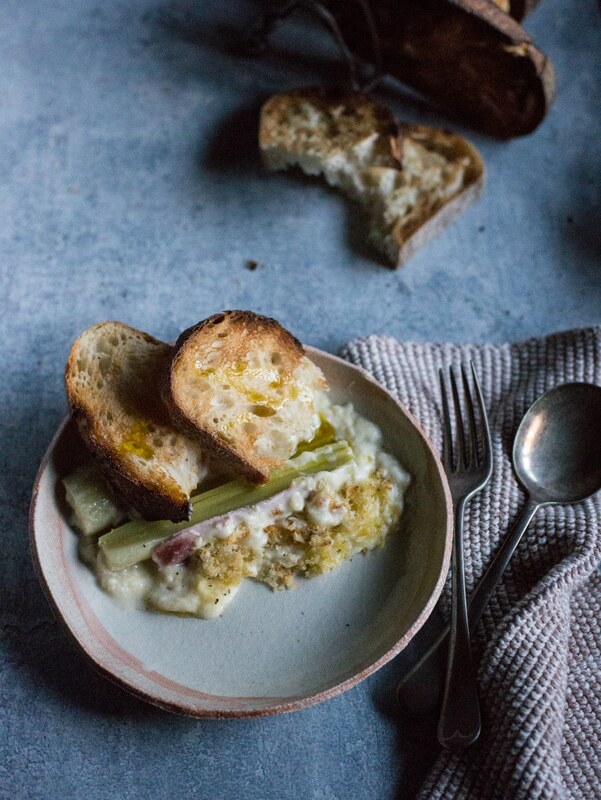 This recipe uses a mixture of baby leeks, spring onion and young green garlic that grow in abundance in my mother-in-law’s garden in the cooler months. 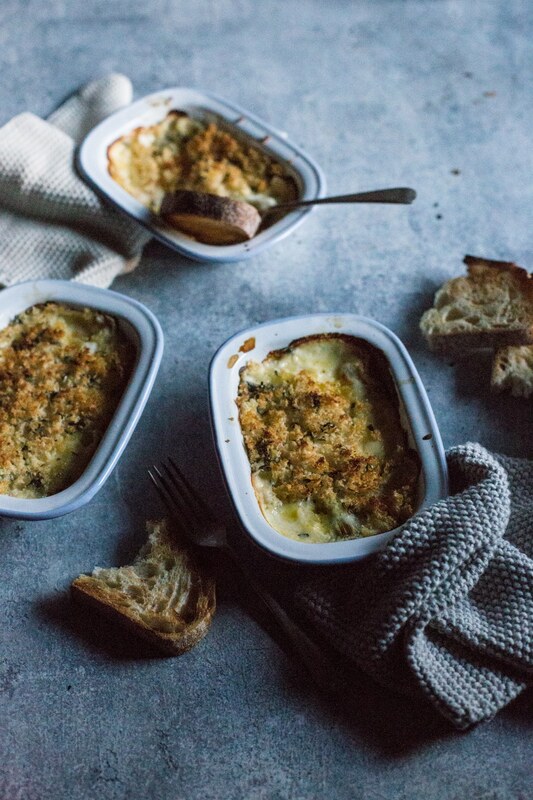 The combination of sweet baby leeks and onion-y, garlic-y goodness with rich cheese sauce and crunchy breadcrumbs is pretty irresistible. Feel free to use whatever combination of leek, onion or young garlic you have accessible. 250g mixed baby leeks, spring onion, and young garlic washed and trimmed. Place leeks, spring onion, and garlic into a medium saucepan along with bay leaf and milk. Cover and bring to a simmer over medium heat. Remove from heat and allow leeks, onion, and garlic to cool in pan. Place breadcrumbs, olive oil, lemon thyme, salt, and pepper into a small mixing bowl and stir to combine. Remove baby leeks, onion, and garlic from pan and divide among 4 small baking dishes (or one medium one), reserving milk for the cheese sauce. To make the cheese sauce, melt butter in a small saucepan until bubbling. Add flour and stir to form a smooth paste. Cook over medium heat for a few minutes, stirring regularly. Remove from heat and gradually add the milk reserved from cooking the leeks, whisking as you go to avoid any lumps. Return to medium heat and cook until mixture has thickened and is bubbling. Pour cheese sauce over baby leeks, onion, and garlic. 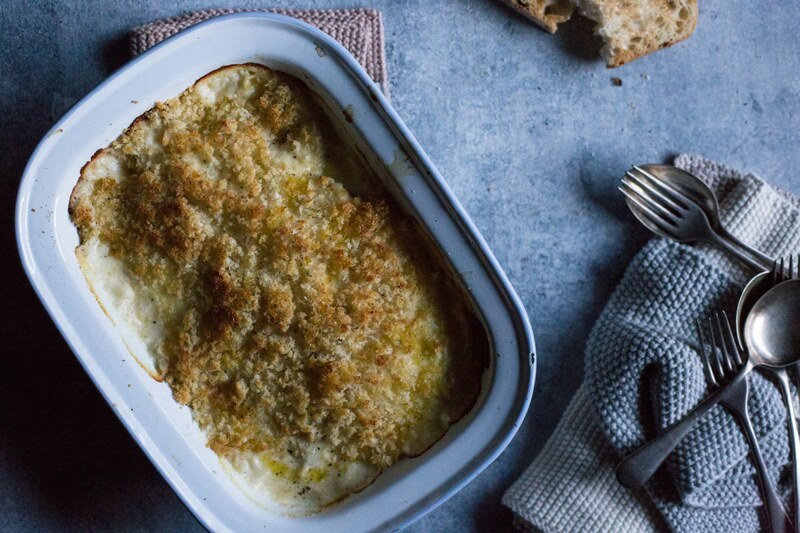 Top with breadcrumb mixture and bake in preheated oven for 25 minutes or until cheese sauce is bubbling and breadcrumbs are golden and crunchy (I sometimes increase the oven temperature for the last 5-10 minutes to make the breadcrumbs extra toasty). These are delicious to eat just on their own, with a crunchy salad, or they work really well as a side to a roast chicken or white fish.